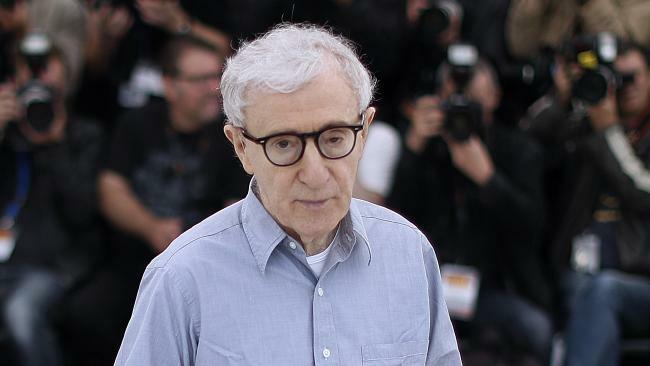 Woody Allen’s latest film, A Rainy Day in New York, may never be released. WOODY Allen has hit Amazon Studios with a $68 million ($A95.73 million) lawsuit, claiming the company breached its contract by refusing to release his new movie A Rainy Day in New York and backing out of a four-film deal in the wake of his daughter's renewed molestation allegations. The Annie Hall director filed the suit against the studio in Manhattan federal court on Thursday, accusing it of reneging on the deal without cause. "Amazon has tried to excuse its action by referencing a 25-year old, baseless allegation against Mr. Allen, but that allegation was already well known to Amazon (and the public) before Amazon entered into four separate deals with Mr. Allen," the suit reads. "There simply was no legitimate ground for Amazon to renege on its promises." Allen says he and his production company Gravier inked the multi-picture deal with Amazon to finance and distribute his movies in August 2017, after it released both Cafe Society and Wonder Wheel - an association the suit claims generated "prestige" for the online empire's fledgling studio and established it as "a legitimate player in Hollywood." The studio agreed to pay at least $9 million ($A12.67 million) for the license to his Timothée Chalamet-starring A Rainy Day in New York and his the following flick, and then $25 million ($A35.193 million) and $27.5 million ($A38.7 million for the two after that, and to release them all theatrically on at least 500 screens for at least 90 days, the suit says. It also agreed to shell out between $25,000 ($A35,190) and $100,000 ($A140,775) for each nomination or win "of certain" Golden Globe Awards or Academy Awards, Allen's suit claims. But a few months later, as the #MeToo movement was taking off, Amazon Studio executives met with Allen's reps and discussed the "negative publicity and reputational harm" the company had received over its association with pervy producer Harvey Weinstein and its former head Roy Price, who'd just resigned over sexual harassment allegations - then asked to "push back" the A Rainy Day in New York release to 2019. Allen's daughter Dylan then re-aired her decades-old allegations that he molested her in 1992 - which the filmmaker denies - and a growing number of stars began pledging to stop working with the director. Allen in June then made headlines when he declared that he should be a "poster boy" for the movement because he has a "wonderful record" with actresses. Later that month, Amazon suddenly told him it was scrapping the whole deal - saying it would now be "impracticable" because of "supervening events, including renewed allegations against Mr. Allen, his own controversial comments, and the increasing refusal of top talent to work with or be associated with him in any way," according to the suit. He claims Amazon breached the terms of its agreement, and the about-face has caused him substantial financial loss, forced him to "forego the services of highly-regarded individuals" who'd agreed to work on his movies, and affected his contracts with foreign distributors. Amazon did not immediately return a request for comment. This story originally appeared on the New York Post and is republished with permission.